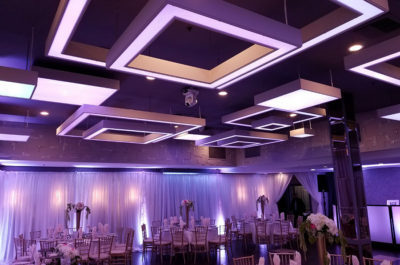 Olivia Event Venue is one of the most elegant, versatile, and affordable event spaces you’ll find in Los Angeles. Our venue is roomy yet intimate, classic yet modern. 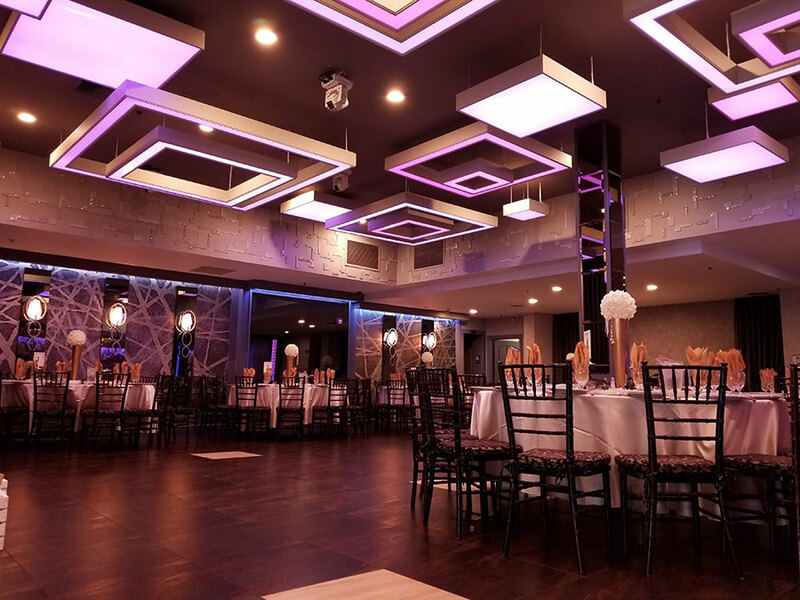 As a former fine dining restaurant specializing in Mediterranean cuisine, Olivia has the added advantage of providing the absolute best in catering. 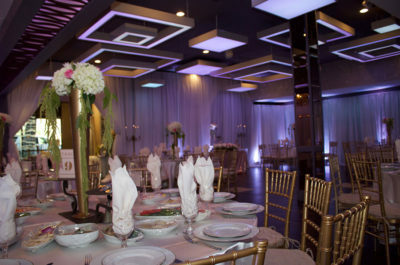 We have now transformed the space into one of the finest banquet halls in Los Angeles, perfect for nearly any occasion, including wedding receptions, Sweet 16s, quinceañeras, bar and bat mitzvahs, other milestone birthdays, christenings, anniversaries, charity dinners and other corporate events, and much more. If you’re looking for a sleek, modern, intimate venue for your next event, consider the beauty and convenience of Olivia. 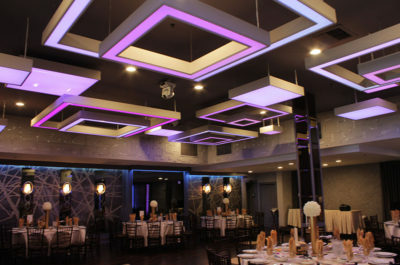 Olivia’s main room is 2,300 square feet, making it just the right size to comfortably accommodate 150 guests. 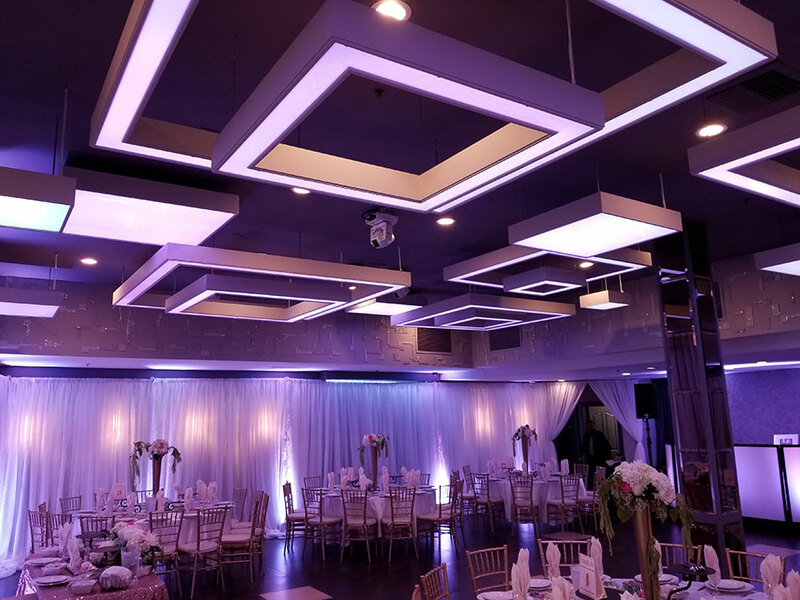 One of the first things that most guests will notice is our beautiful glowing LED lights, which can be customized to match the colors, theme, or tone of your event. We also have fully customizable linens, flatware, and other décor. 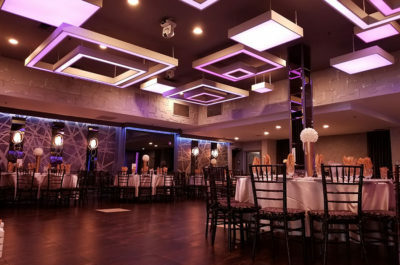 We are proud to provide a large dance floor where your guests can dance the night away, as well as a full cocktail bar. Olivia truly has everything you need for your special event! Venue Size: 2,300 Sq. Ft.
At Olivia, the satisfaction of you and your guests is our highest priority. 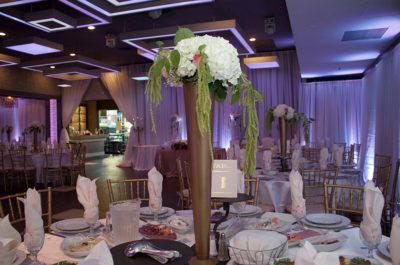 We want the event you host with us to be beautiful, successful, and memorable. This is why we provide you with the best atmosphere, décor, catering, and service. As industry professionals, our team at Olivia works hard to present you and your guests with a truly outstanding experience. Because Olivia was previously a fine dining Mediterranean restaurant, we are proud to provide five-star Mediterranean cuisine for your event. Our highly-skilled chef is also able to make any other type of food you may want, and we are also happy to accommodate an outside catering company if you would prefer. 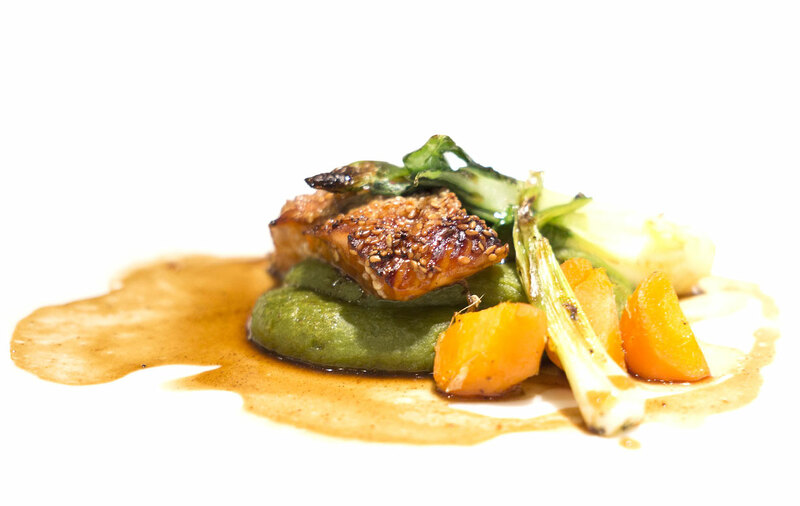 No matter what your preferences, we will work with you in any way that we can in order to ensure that you’re getting exactly the food you want for your event. 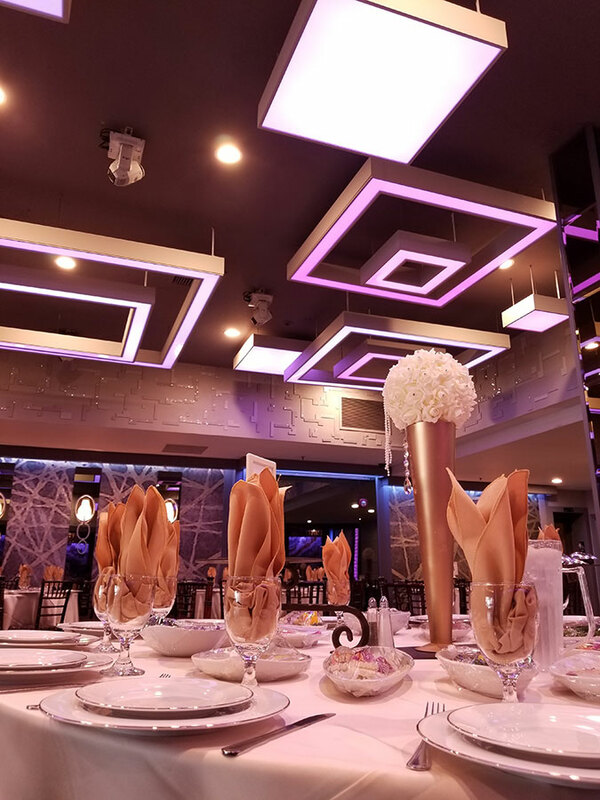 We will plan your menu together to reflect your tastes and the style of the party, and we will prepare whatever you’d like in our state-of-the-art kitchen. Our team at Olivia is extensively knowledgeable about the in’s and out’s of the party planning industry, and we have worked with many talented and successful event vendors over the years. 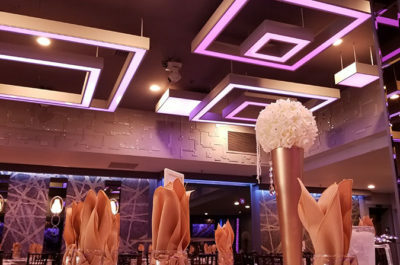 If you’re looking for the right photographer, florist, makeup artist, entertainer, and/or decorator for your big event, we can provide you with a wide variety of options. You’re sure to find exactly what you need among our list of outstanding vendors!